So much thought, time and money has obviously gone into the SkyHD venture. 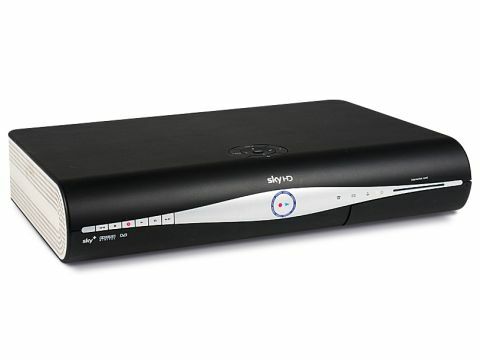 The satellite receiver is very well specified, save for its two tuners. There's a HDMI output to carry sound and video (both standard and hi-def) into your HD Ready TV, as well as a set of component video inputs alongside analogue audio outputs. A real bonus is the provision of an optical audio output, which can take sound into a home cinema amplifier. Coupled with an audio delay that sorts out lip sync, this proves a boon for movie fans, although so many programmes on Sky's HD platform come with surround sound that even footie fans now benefit. The remote, too, is a work of genius and it's possible to be scheduling recordings and setting-up a favourites list of channels intuitively within seconds. Even the standby and volume buttons operate most TVs. Onscreen menus fare almost as well. Clear, precise and bright graphics take you through lists of channels sorted into various genres - news, documentaries and HD channels, as examples. The latter lists all 13 HD options carried by SkyHD: Sky One HD, Sky Movies HD 1&2 (requires movies subscription), Sky Box Office HD (two channels), Sky Sports HD1, HD2 & HDX (requires sports subscription), Sky Arts HD, National Geographic HD, History Channel HD, Discovery HD and BBC HD. Ably presented as they are, it's not possible to scan through the seven-day EPG while you're watching a particular channel. Instead, setting recordings is a joyless and lonely business. Its two tuners can record two channels at once, but only if you watch one of them. Chasing playback allows you to watch a recording from the beginning before it's completely finished the recording process. Channels can only be recorded in one quality to its hard disk, which is 300GB in size. Only 160GB is available for recording, however, allowing around 30hrs of high-definition or 80hrs of standard-definition material, with 140GB ring-fenced to allow for Sky Anytime, an embryonic (and free) video ondemand service limited to around 40 hours of TV and movies, 'pick of the week' style. The SkyHD box's phone line also allows interactive features, but if ordering a pizza during The Simpsons seems like a gimmick, try setting a recording via a text message from your phone - or even by downloading an application from Sky that lets you scan the EPG and select recordings from your phone. A recording library clearly displays the amount of space each programme takes up on the hard disk. Material forwarded, DVD-style, at speeds of up to 30x while a pause TV function works for around an hour before returning to live TV. Not surprisingly, picture quality is excellent. Standard-definition channels aren't upscaled (we hope this is part of Sky's plans for its second-generation box), but HD can look wonderful, depending on the quality of your HD Ready TV. Even a year after its launch, there's a definite wow factor about the very best quality camera work on Sky Sports HD1 or HD2 channels. And BBC HD can be relied on to repeat its spectacular Planet Earth series. Pictures with ambitious levels of depth of field can suffer grain and noise, but it's rarely a problem during everyday fare. SkyHD is still the ultimate TV platform and a serious piece of home cinema kit.